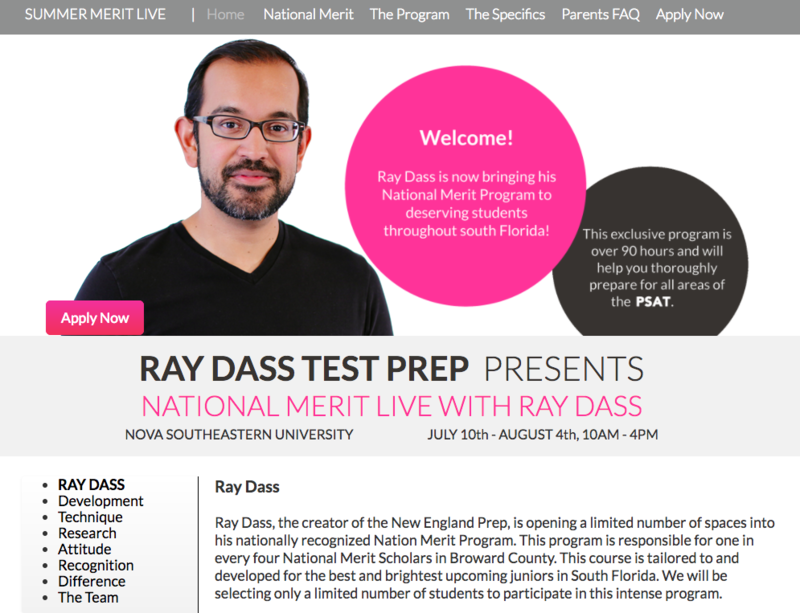 Teach America was first founded by Ray Dass, South Florida’s top SAT teacher. After working for famous brand names of college prep companies, Ray Dass found an innovative way to teach the foundational concepts to always succeed in standardized testing. His training was so effective, he produced the most National Merit Scholars in all of South Florida Schools! Ray decided to write his own trainings and create an online platform where his simple concepts and test-taking foundations could be available for students not just in Florida, but nationwide! I managed the RayDass brand and marketing materials for his first 700-student 3-day seminar called SAT weekend. (satweekend.com) We created flyers, refined the brand narrative, and even updates the company logo for a more attractive look and feel that would speak to high school students, parents, and school administrators. With the help of a small team and a huge passion for amazing test scores, Ray Dass changed the old-fashioned way of training SAT concepts and test-tasking skills. My work with Ray helped to build an online presence for his new website and brand name. The Ray Dass SAT prep program is now a subscription-based educational app named Sara, available for purchase on the Apple Store!